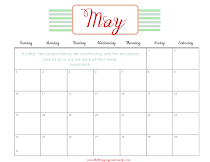 Today I am sharing with you a printable Scripture Art or Verse Art. 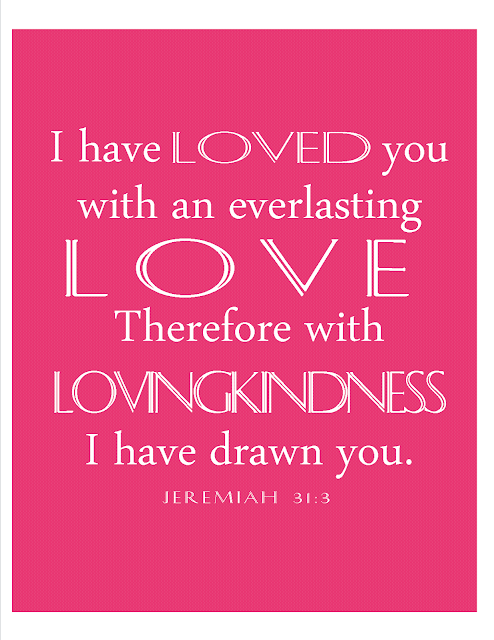 I love the verse in Jeremiah that says, "I have loved you with an everlasting love..." I know that this statement was a specific word for Israel, but God's love has never changed and will never change so we know that He also loves us with an everlasting love! His love is eternal! How encouraging to know that even when people fail us and may even stop loving us, our God will never stop loving us! Not only that but His love is complete and perfect. I hope this will help make your Valentine's cheery. God LOVES us!